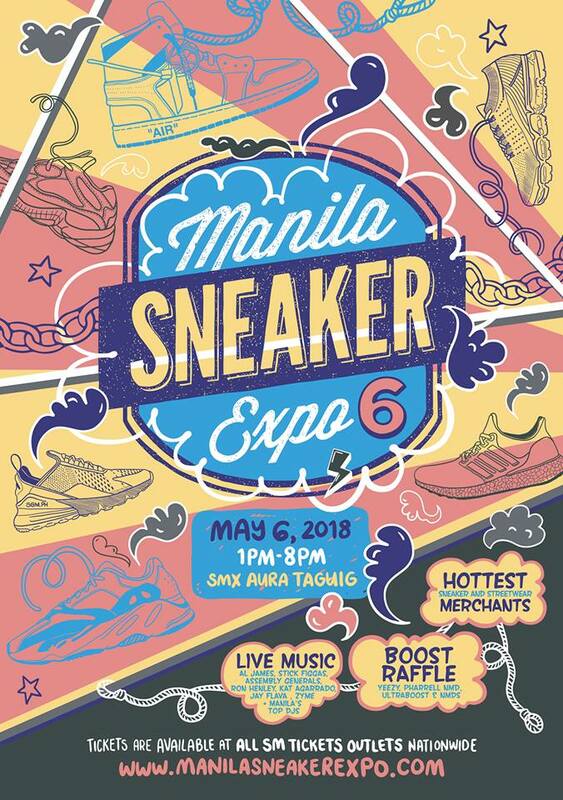 Don't miss Manila Sneaker Expo happening on May 6, 2018 from 1pm to 8pm at SMX Aura Taguig. 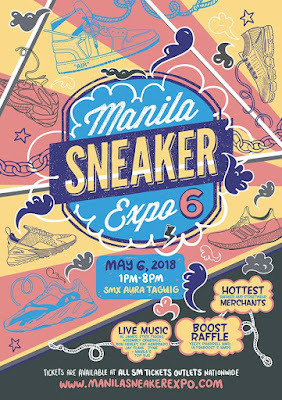 Enjoy the hottest Sneaker & Streetwear Merchants, Boost Raffle (10 Boost sneakers to be raffled off), Sneaker Auctions, Sneakerbabes, Live music & performances, and a whole alot more! Tickets available at all SM Tickets outlet and at the gate.